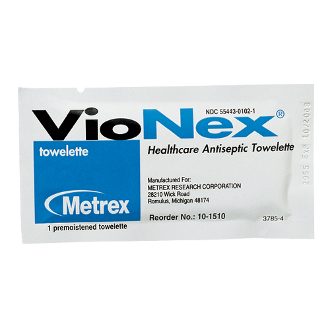 VioNex Antiseptic Towelettes are intended to be used in the field, office, vehicle, clinic, hospital and anywhere else where handwashing with soap and water are not available. The towelettes are formulated with a non-flammable, non-irritating, skin cleansing and moisturizing solution that will leave your skin feeling soft. VioNex® Antiseptic Towelettes are widely used by fire fighters and police officers.